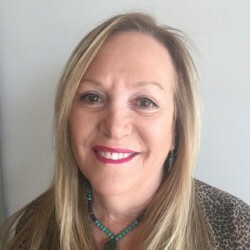 Harriet Beitscher Campbell, LCSW, CEDS, MAC graduated from Barry University, Miami, Florida. Ms. Beitscher Campbell is the Executive Director of A New Transformation, LLC, in Fort Lauderdale, Florida. She is a psychotherapist who has extensive training and experience in food addiction, eating disorders, body image issues, addictive behaviors, relationship and intimacy issues, and shame-based issues in addition to other conditions such as anxiety, depression, trauma, etc. Harriet taught at the University of Miami in Miami, Florida for many years teaching students to provide therapy to clients with addictions. She has been in private practice for over 27 years, serving a diverse population. She is a consultant and conducts presentations in various arenas. She also works with several drug addiction centers to assist them in dealing with their clients who have eating disorders. This allows them to receive a quality of recovery that is inclusive of eating disorders, since it runs parallel to chemical dependency. In addition, she has been published with several articles that have research that provides evidenced-based regarding how the lack of dopamine levels of the Reward Deficiency Syndrome contribute to eating disorders and substance abuse, which is a huge breakthrough for the population at hand. She has worked with athletes, cheerleaders, high profile/CEOs, and other professionals. My practice is a general practice, and I treat clients with any of the conditions listed. I implement approaches that are comfortable, nurturing, safe, and non-judgmental, and I want you to know that there is a solution and there is hope! I have an expertise in, and a passion for, helping clients that suffer from "The Prisoner of Eating Disorders." I specialize in body image and shame based issues, and can help you make sense of patterns when no one else understands. There are biochemical factors, depression, trauma, and other situations that can complicate the symptoms. Some body image can be worked through within one session. I am an out of network provider.